Autumn can be an exciting month for my LRF sport. The fish really start to put the weight on as they prepare for winter. The sea temperatures are at their warmest and the fish are aggressively taking lures. With the prospect of high winds in Autumn I have been taking every opportunity to get out onto the south east Scotland rock marks. Most of these involve a lot of rock hopping, scrambling, and clambering over rocks and small cliffs to get there. Light rock fishing gear due to its compact size means you can take all the kit you need for a day on the rocks but in a very small package. Travelling light means it is easier to work your way around rocky marks. My target from these rock marks and kelp forests is primarily pollack and wrasse, the Autumn is when I hit into the bigger fish. However in order to get the most from these marks it is imperative to fish right in and amongst the snags. Fishing such kelpy rocky ground with conventional shore fishing gear would require heavy lines, strong rods, big reels and rotten bottoms. So fishing it with very light lines seems like its going from one extreme to the other. Sure there will be the inevitable tackle losses but these can be kept to an absolute minimum by using techniques designed to fish in heavy cover. 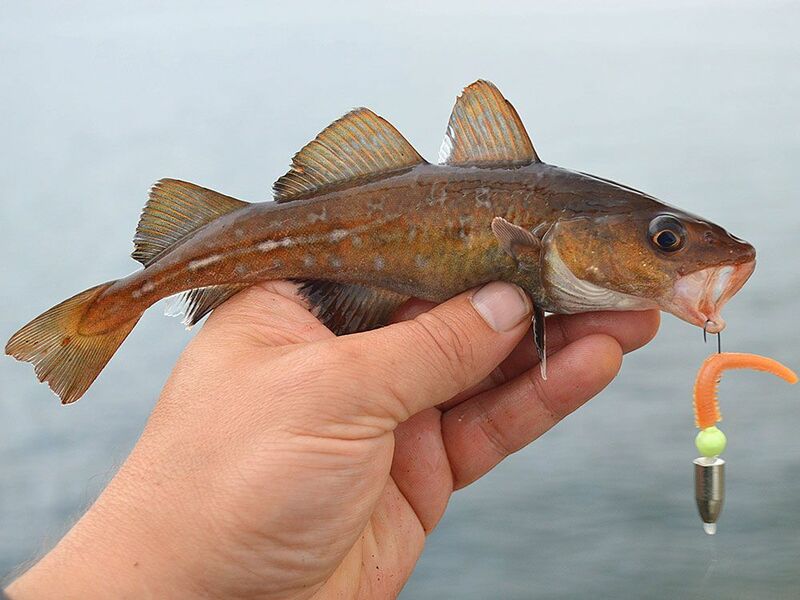 This is a great way of presenting your lure so it works just above the kelp fronds. 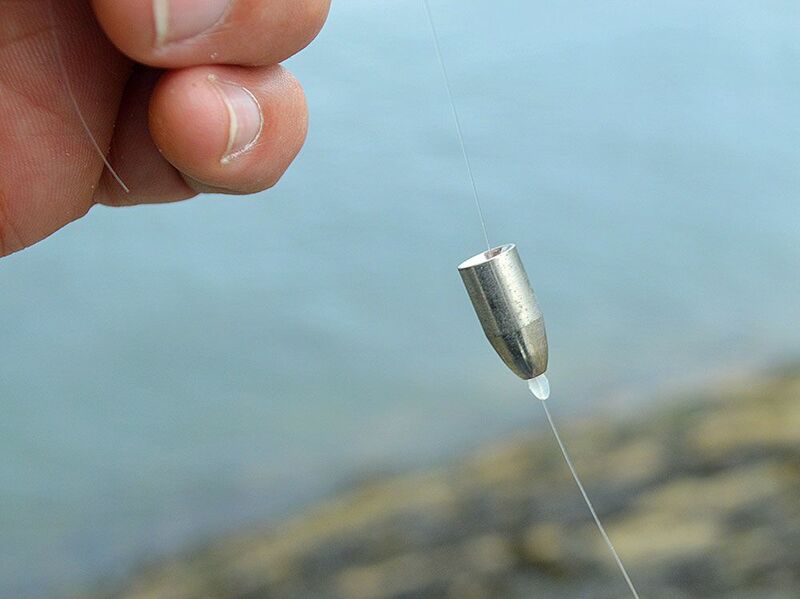 By setting the length of the line between your weight and hook you can get a presentation that keeps the lure out of the weed . I use a much longer drop than when fishing cleaner ground usually around 4 foot. 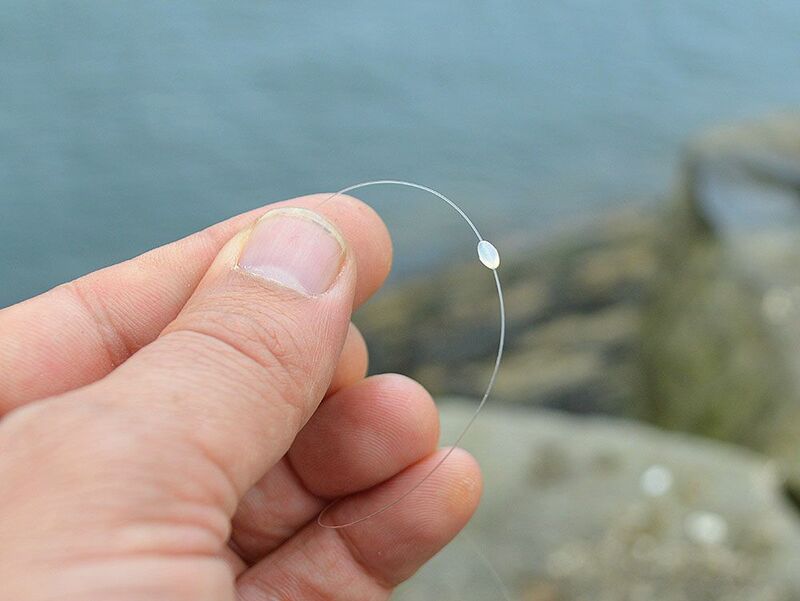 This simple act of lengthening the drop from hook to weight means that your lure will stay weed free without having to rig Texas or weedless styles. However if you use an offset hook on the dropshot rig you can get a very effective weedless set up. One of the other go to weedless methods I use is Texas rigging soft plastics. Texas or Carolina rigging is a great method for working the lure through the weed itself. This can be a great method to get at the wrasse species that live right in amongst the thick of the weed. These two rigging methods will see me through much of my rough ground sessions. However there are some great innovative twists to rigs we can use to our advantage. Ones such rig is a floating Carolina or Texas rig. In effect it works the opposite to when you use a dropshot rig. When you lift the rod the lure will dive back towards the sea bed as it is being pulled by the weight. When you drop the rod towards the lure, the lure floats up as the line slides through the lead. Simply by hopping the lead back across the sea bed will cause the lure to dart down and pop up. A slow steady retrieve keeping the weight in contact with the bottom will get the lure working much closer to the bottom, pause and it will float up. This simple innovation of having the pop up bead or floating Carolina worm head really adds to the snag proof design of a Texas or Carolina rig. One of the great features of this type of rig is that you can allow the lure to bump into snags and weed, then give a little slack line by dropping the rod which will allow the lure to pop up above the snag. It is also possible to work a lure in one place by tightening or slackening the line in a similar way to a dropshot rig. It works very well bottom bouncing or on a slow straight retrieve too. By retrieving the lure you are causing it to dive down towards the cone weight and into the weed. When you pause the lure will float up through the weed showing itself to predators waiting to ambush prey. 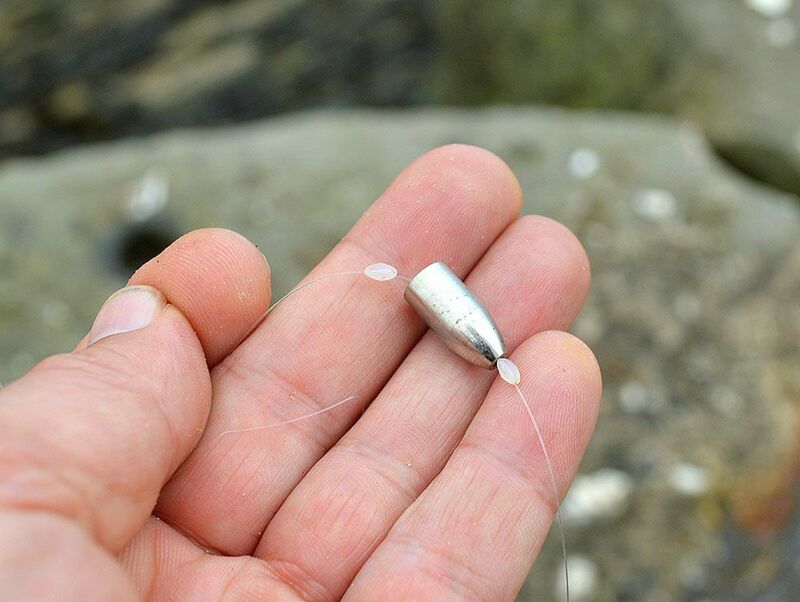 It is a good idea to use as small a pop up bead as you can get away with as you get a lot of fish attacking the bead instead of the lure. With the bigger fish this isn’t much of an issue as they tend to inhale the lot. It can get a bit frustrating with smaller species though so its always good to play about with size and colour. 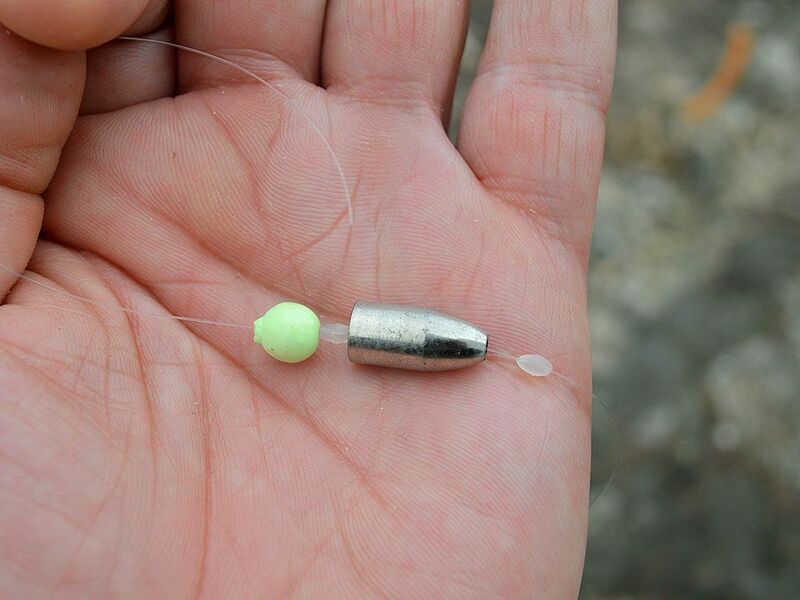 Changing the size of the pop up bead will alter how fast your lure pops up when at rest so it is a good idea to carry a few different sized pop up beads. In order to get the best from the rig it is always advisable to check and see how it works in some shallow water before casting for fish. Thread on a Tronixpro Rubber Stop onto your leader. Thread on a cone weight from the HTO Worm Selection range of non-toxic weights. Thread on Tronixpro Rubber Stop. Thread on a Tronixpro pop up bead. Tie on an offset hook. Having the cone weight trapped between two sliding float stops means you can change the length that the lure is from the weight. You can also change the amount of line that is released by sliding the front float stop up the line. 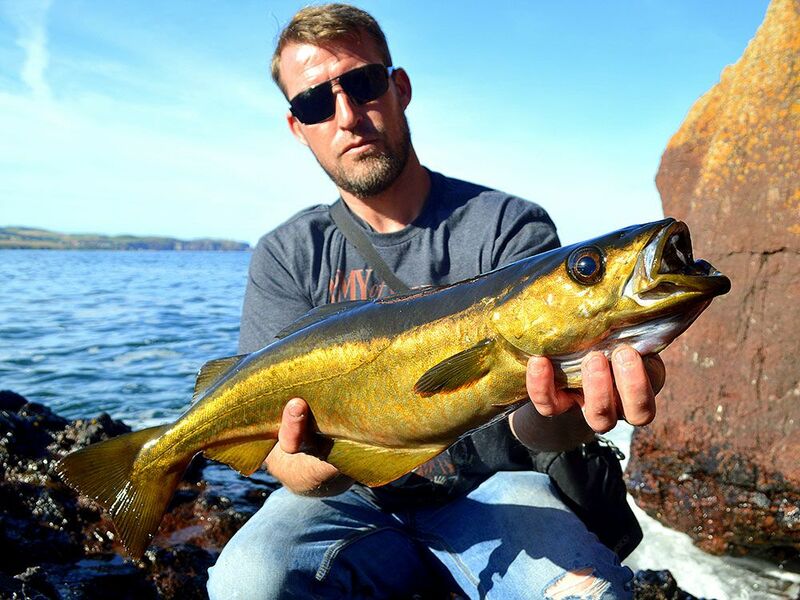 Small metal jigs have been an absolute killer method over the summer and that trend continues into Autumn, but the thought of deliberately bouncing them over the kelp sounds like a recipe for losing the lure. However, change some of the hardware and tweak your technique and you can confidently bounce a metal across the top of a submerged weed bed. 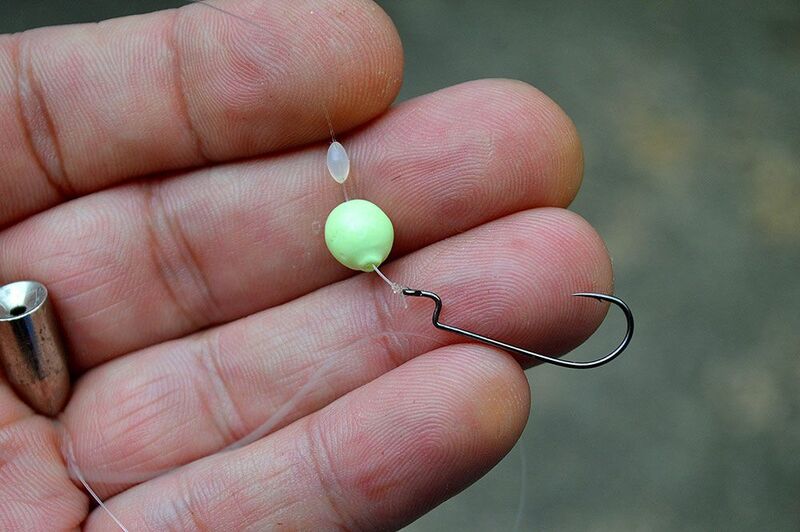 Firstly make sure your jig is rigged with a single hook. Either a small assist or a single hook. There are specifically designed single hooks for rigging lures but for most of my metals I like an “Area Trout” pattern single hook. Light rock fishing rods offer great sensitivity and feedback , especially when combined with braid mainline, which means you can feel when your lure hits the kelp. Being able to feel this means that you can quickly jig the lure up and have it working just above the kelp. I repeat this process jigging the lure above the kelp and letting it fall on a tight line till it bumps the kelp . 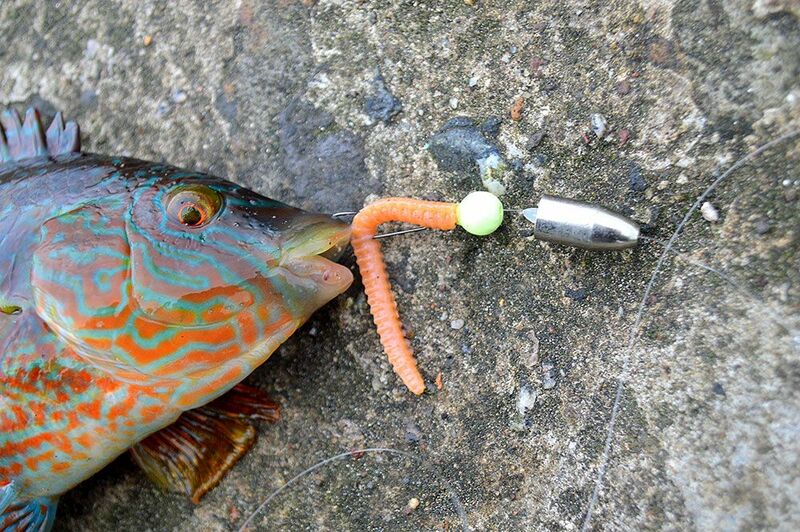 This can be a great method for pollack and cod, even wrasse will grab a metal lure fished in this manner! Getting to the fish is one thing, but hooking and landing an angry kelp beast is another! In order to come out on top in the battle it is important that you know where you can land the fish in advance of you hooking it. 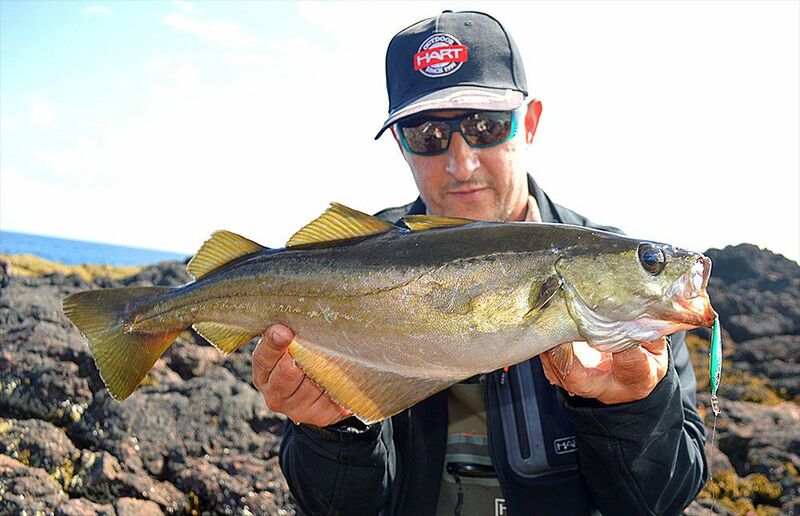 Most of the fishing tends to be close range action, this makes it easier for you to get above the fish to apply maximum pressure. 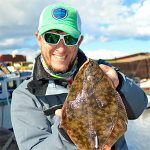 This can be crucial in the first few seconds of the fight as when you first hook a fish there tends to be a moment or two of confusion on the fishes part. During these seconds apply maximum pressure and bully the fish up in the water. Then hold on to your hat for the inevitable crash dive for the kelp! 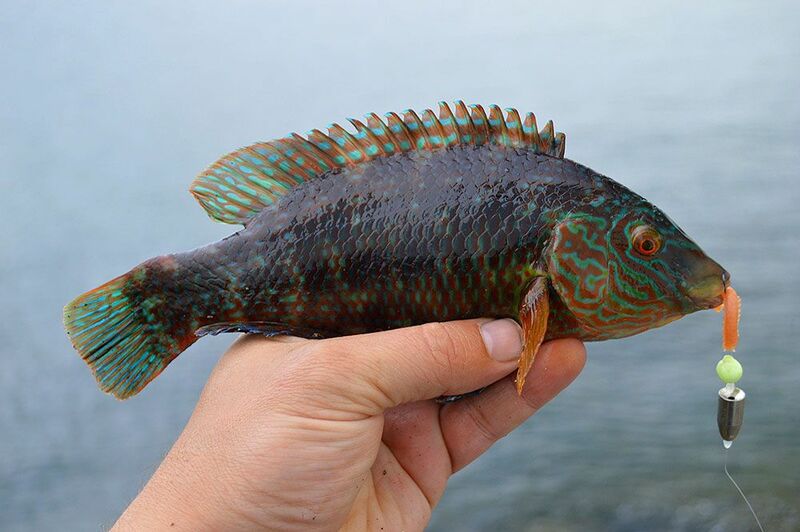 Wrasse and especially pollack will try and reach the safety of the weed and you cannot give them an inch or they will bury themselves in the kelp and snag you up. A long handled landing net is really helpful when it comes to landing fish especially if you are high up on a rock mark. It can also keep you well out the way of the waves. The Autumn sport can prolific so it makes sense to get out and enjoy it whenever you can get a calm day. Soon the winds will have me seeking more sheltered water but for now the rocks are calling and its time to get hauling!